As you may have read in one of my previous posts, I have a new little project on my blog, which involves showcasing some of my favourite small businesses. Now, don’t get me wrong, I love to shop in New Look or Primark as much as the next person, but I think it’s also important to realise how many gorgeous products there are out there made my an individual sitting in their own home. You know those times when you need to get someone a present and you just can’t think what to get them? Well, why not look into some small businesses on Facebook or Etsy for inspiration – there is seriously so much out there it’s unreal! I came across Stacey on Instagram and ended up following her just because I loved her shabby chic photos and the fact that she was getting a new puppy. When I followed her I didn’t realise she ran her own business, but when new photos started popping up of some personalised bags and mugs I was intrigued. After making contact with her I found she had a Facebook page, Stacey's Made With Love where she sells a whole variety of personalised products. I actually bought these mugs for my friend when she got married, as I thought it was such a cute and unique idea and something they can keep reminding them of the day. 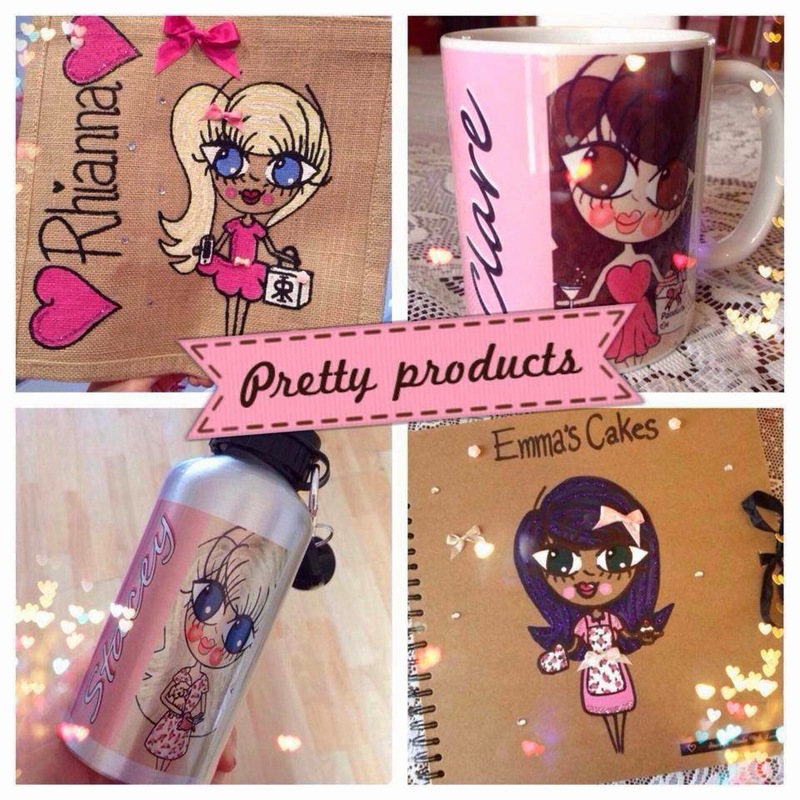 Stacey designs a whole range of personalised products with her cute hand painted ladies and men. For my mugs, I sent her photos of the Bride and Groom and she managed to make her drawings look like fantastic copies of them, giving them a real personal feel. In particular, I know Stacey is really proud of her wedding range of products, and it’s not hard to see why. From mugs to phone cases and from bags to scrap books, you can kit out the bride and groom with everything they could possibly need for before and after their big day. So, once they’ve got married the next thing on the list is a baby. Don’t worry though, as Stacey can also personalise products for this occasion too. Whether you want a phone case with you and your little one or a sports drinking bottle for popping in your nappy changing bag, the possibilities are endless. But who needs an excuse to treat themselves to something nice? You can also get a range of personalised products, such as bags, mugs and scrapbooks for any occasion (or non-occasion!) that you like! So why not replace that old mug in your cupboard with a cute personalised one from Stacey. Her prices are really reasonable so any of her products would be a great gift for any event. I know I was really happy with the mugs I bought and I can’t recommend buying from Stacey enough. She was lovely to talk to and very thorough with ensuring I received a high quality product. Plus, if you follow her on Instagram (allthatdreamsglitters) she works in a bakery and you can see all the delicious cakes she helps make! What do you think of Stacey’s products? Do you follow her Instagram or have you bought from her before?